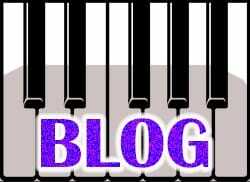 one block north of Carnegie Hall on West 58th street. 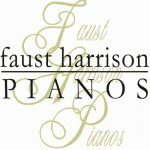 We are the only New York City Manhattan Piano Showroom to carry the most prestigious and sought-after piano brands, including Bosendorfer, Bechstein, Fazioli and Yamaha pianos, as well as a substantial collection of used Steinway pianos rebuilt to the highest standards in our piano restoration factory. 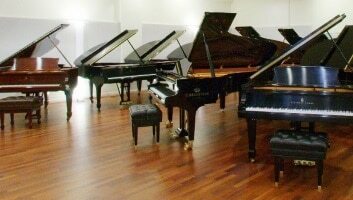 Having been on New York’s Piano Row for over 20 years, we are a well-established NYC piano store with an ample performance area for concerts. 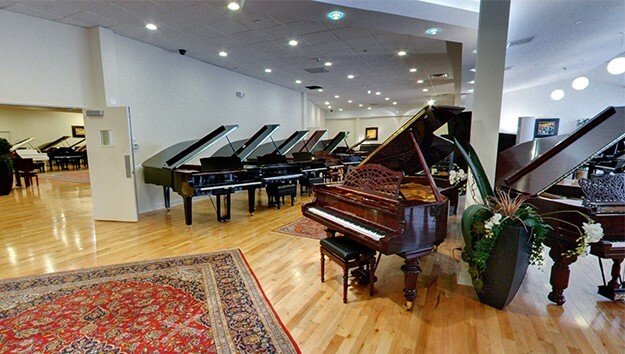 Our Manhattan piano store carries a substantial inventory of new pianos and used pianos, including grand pianos, upright pianos and digital pianos. 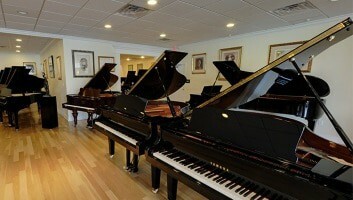 Enjoy a virtual tour of our NYC piano store, with over 150 pianos presented. 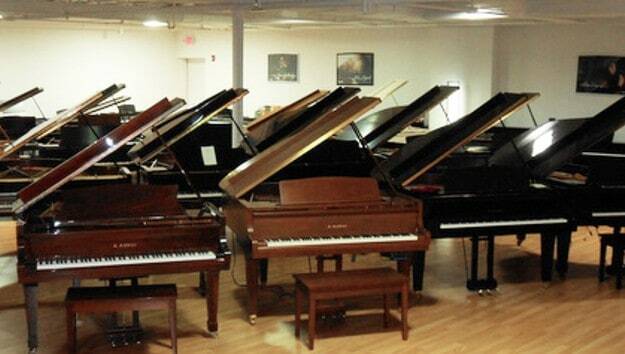 To ‘look’ around, click and drag your mouse across the showroom, and to ‘walk’ around, click on the grey circled arrows.